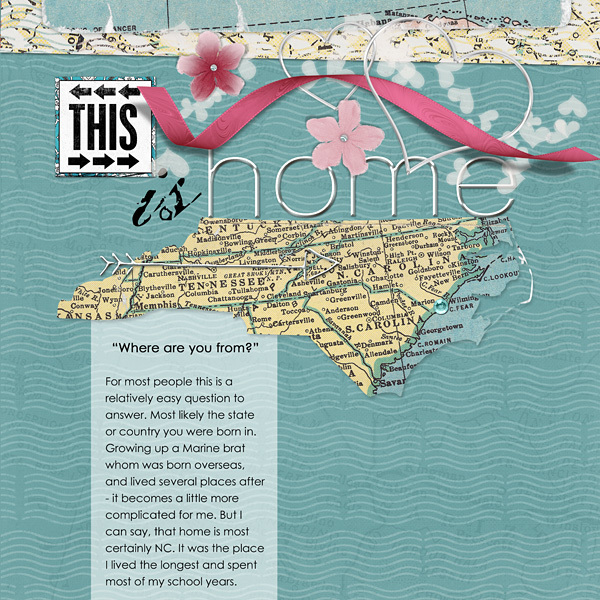 These backgrounds are great for scrapbooking your vacation and travel memories. 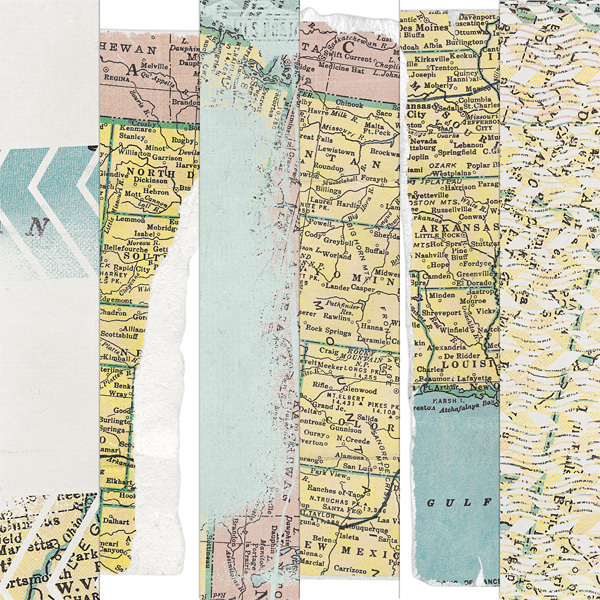 A mix of vintage maps with torn edges and blended collage backgrounds. Includes: (6) print quality map backgrounds. 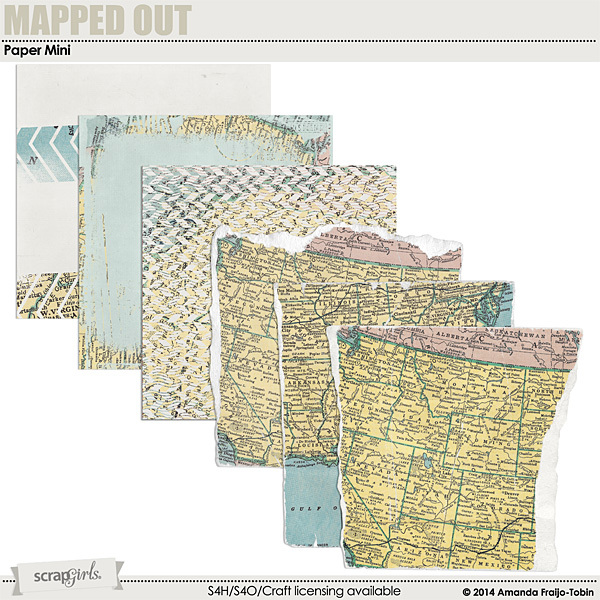 (3) of the background incorporate bits of maps from the United States, and the other 3 papers are general antique maps mixed with other papers for a collage effect. Use the USA torn maps for US centric projects and the other 3 papers for general vacation and travel projects. Calypso speaks of travel and adventure and exotic places! Even if you haven't been on an adventure lately, get ready for a fun, virtual excursion while highlighting your favorite pics. 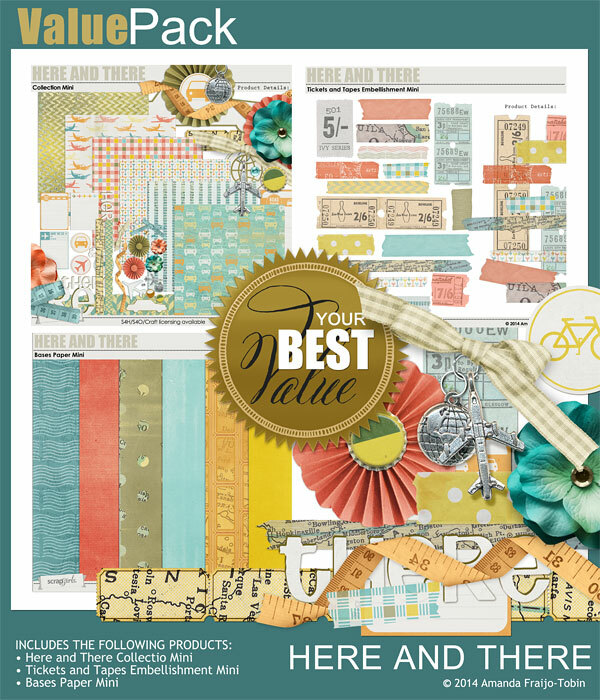 Travelogue is the perfect collection for scrapbooking your short weekend trips or extended vacations. Scandia Collection by Aimee Harrison is PU/S2H/S4O friendly.